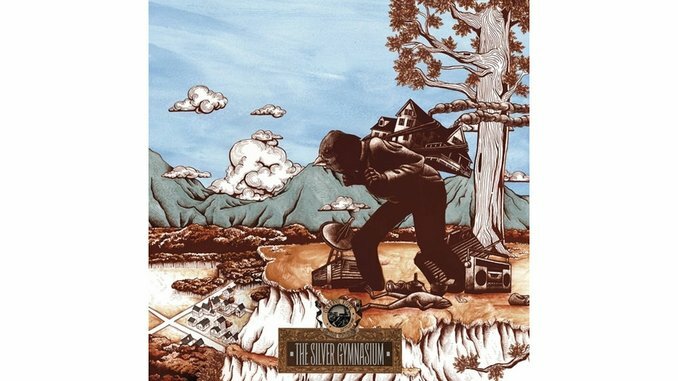 There have always been a few constants when it comes to an Okkervil River album: bruised and brooding melodies, eclectic and calculated arrangements, deep and poetic lyrics and gorgeous and menacing artwork. With these variables in place, the Austin indie-folk, alt-country ensemble has always presented itself with the utmost integrity and adherence to strong, sophisticated songwriting. Most of that is to the credit of frontman Will Sheff. Armed with a distinctive howling tenor, a capacity for incorporating multiple musical influences in the span of a single track and a skill set for narrating harrowing tales of vice and virtue, Sheff has become one of indie rock’s more celebrated literary-minded icons. It’s a trend that continues on The Silver Gymnasium, the band’s first release on ATO (and first release not on Jagjaguwar). But this time around, Sheff’s lyrical theme is his own past, detailing the people and places he knew while growing up in Meriden, N.H., in the ‘80s. (The album art, by the similarly named and longtime Okkervil River collaborator William Shaff, depicts an expansive reimagined map of the town of Sheff’s past.) By romanticizing on his own memories and experiences of love and loss, of remembrance and regret, of functioning in the world or feeling paralyzed by it, Sheff has written another collection of sordid and stinging stories. The songs on The Silver Gymnasium are packed full of forbidden love, controlling parents, fizzling friendships, premature death, prostitutes and drug addicts, broken-hearted bartenders, car crashes, self-medication, loss of innocence and clinging to the promise of youth as if your life depended on it. Sheff’s songs ooze with longing, and they throw you into a world that is unfamiliar yet immediately recognizable. But despite the memories not being the happiest or most glamorous, the music takes on a different role. While the lyrics are tinged with a sense of wistfulness and forlornness, Sheff and company have crafted a record that somehow feels upbeat and bright. The first single, the stellar “Down Down the Deep River,” set the stage for the album upon its release weeks ago. A lightly distorted guitar strum, coupled with a hook-friendly keyboard lead that’s later flanked by fluttering horns, reveals that Okkervil River is in a good place, even if the lyrics stress “it’s not all right / it’s not even close to all right.” That uptempo vibe stretches to all corners of the record, even to a song like “Lido Pier Suicide Car,” whose first four minutes are shrouded in a slow-burning reminiscence before blossoming into a jangly sing-along. And elsewhere, on the excellent “It Was My Season” and “All the Time Every Day” (and even on the over-the-top “Stay Young” and slightly underwhelming “Black Nemo”), Sheff and company sound positively alive. It’s the happiest they’ve sounded in years. ?The tone of the record shouldn’t be a surprise. After all, Sheff is singing of his happy place, and the music’s cheerfulness mirrors the fondness he has for his upbringing—because there’s no denying that The Silver Gymnasium feels more buoyant than past efforts. Although the album sometimes misses those heavy doses of dark and sinister that Sheff is so adept at delivering, the record is undeniably Okkervil River. Sheff has succeeded in capturing a specific time and place. It puts you in his world and lets you feel a time when things felt new, with all of the potential and promise that life held before it reared its ugly head. The Silver Gymnasium grows on you, and sooner or later its nostalgia becomes your own—only the names and places are different.